I get emails daily asking, what did you get free last month? So I have decided to do a monthly round up post to share everything in one post that we got totally FREE. Some months are better than others but every month has at least a handful of freebies to offer. 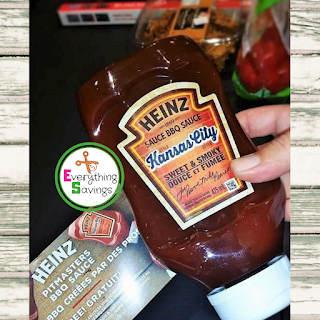 Samplits had a free product offer for certain members in September for a bottle of the new Heinz Pitmaster BBQ sauce. Not every member of Samplits got this offer, and I can't even explain why. Its a great source for free samples, and free full size products but it's a hit and miss if you can actually get one. 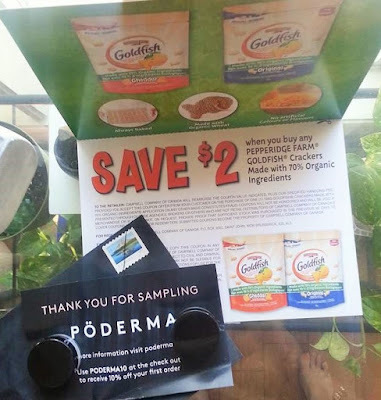 One day you may be told you aren't eligible for the free sample offer and the next you can try the link again and you will get it. Very odd, and I have no clue how their picking process works. I saw many people saying they couldn't find the product in stores, but my first stop at Zehrs in Barrie there it was. 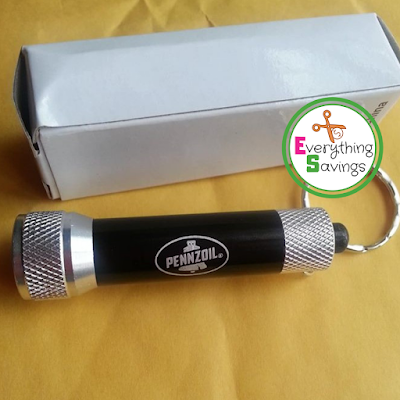 Regular price $4.99. 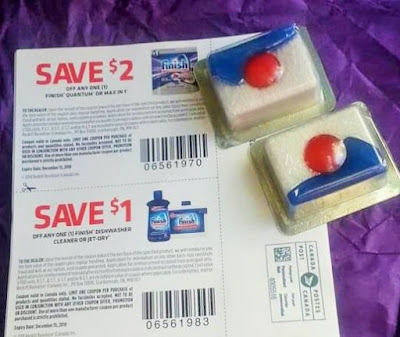 The next freebie that arrived was a Nivea sample pack and coupon.This was an offer from Topbox Circle . It is not longer available but new offers for free samples are added often. TIP: When you get a sample pack of something you aren't interested in trying do this: Start putting them aside and make a gift basket of samples for a friend or family member. FREE Finish Dishwasher Tabs - This is a free sample offer that various members of Sample Source were offered. There was no sign up for it, members who were chosen to get this freebie got an email letting them know a free sample was headed their way. 4 More freebies arrived this month too! Is there anything better than a free razor or free hair dye? 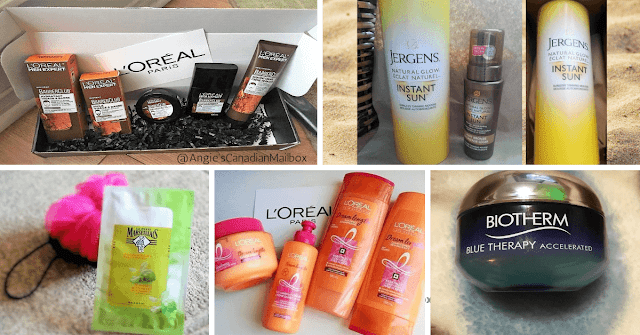 See the breakdown of the 4 amazing freebies we got in one day! There is one week left in the month of September, if any more freebies, samples or prizes arrive we will update this post immediately. 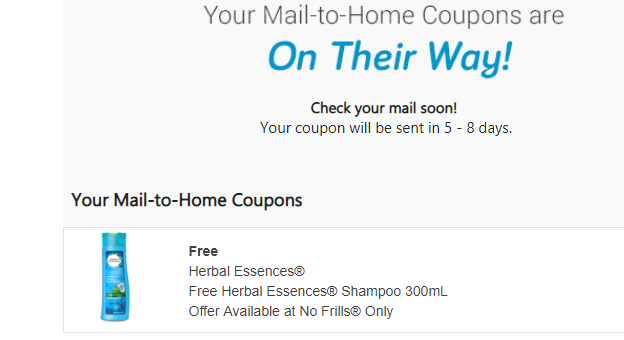 Free product coupon for Herbal Essences product. 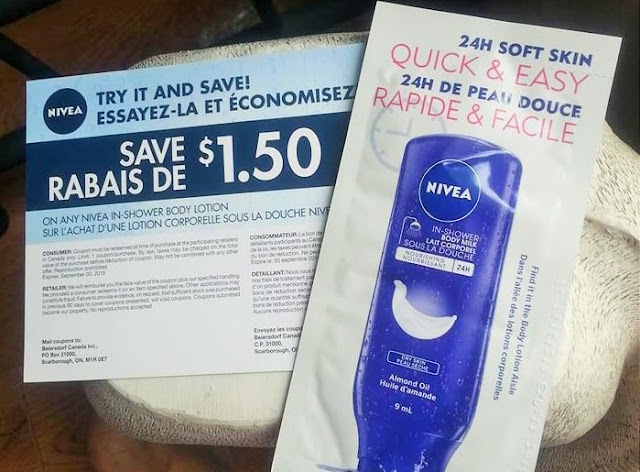 This was a time sensitive freebie and all 1000 coupons were gone in under an hour. 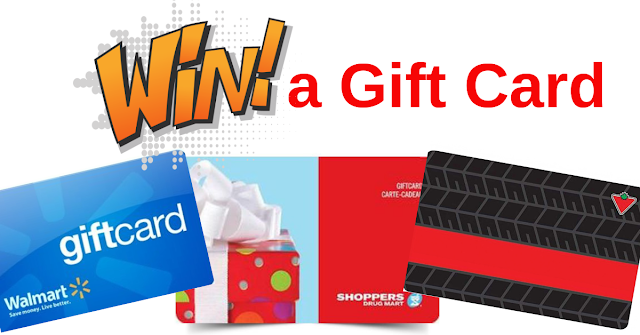 No Frills Facebook page is a great one to follow, they give away coupons regularly. FREE Pennzoil keychain prize has arrived! This was an instant win contest that ended September 15, 2018. It is absolutely adorable! Tons of our readers won one as well. If you are waiting for your prize it should be arriving anytime now. 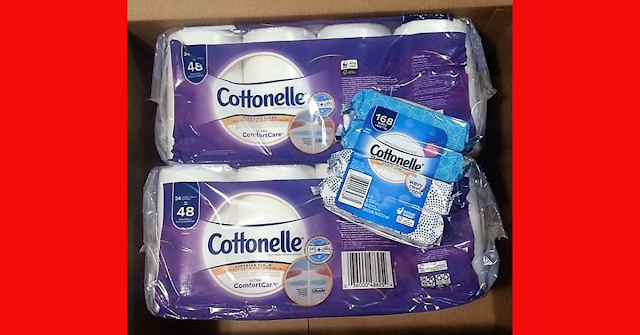 WOW the freebies just keep rolling in this month! Here is a couple more FREE things for September. FREE Goldfish mail-out coupon. I can't remember if I signed up for this coupon offer, or if it's just a random mail out to members. Signing up with your favorite brands can really yield some great coupons all throughout the year. 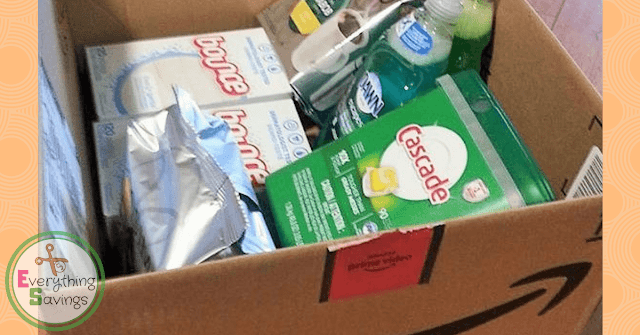 Amazon box of monthly products. 99% of this box was 100% totally FREE. Using my Swagbucks & a couple other great ways I paid only $1.60 for this entire box of products on Amazon with FREE shopping! See how to get Amazon deals for FREE. FREE L'Oreal Paris Revitalift Cicaream samples- This sample is really cool. Usually you get one small sample and that's not enough to actually give the product a fair try. This sampler came with 7 days worth which is amazing! 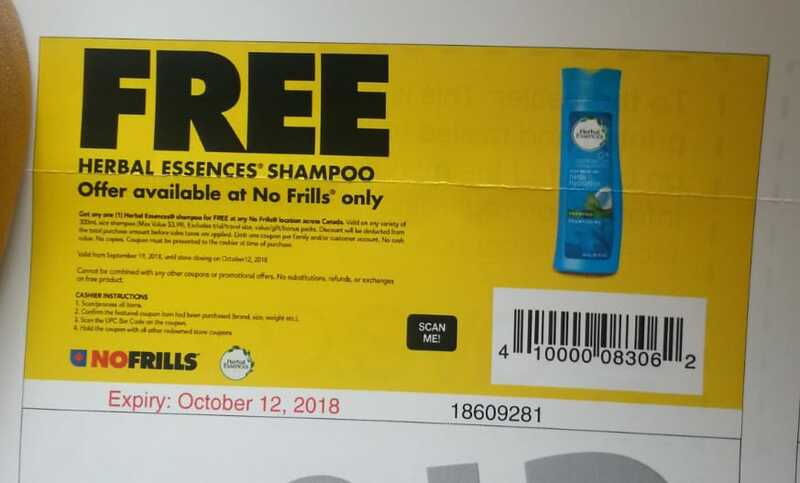 FREE Product coupon for Herbal Essences - This freebie was shared on our Facebook page and only 1000 coupons were given away. No Frills is a great page to follow for flash FREE product coupon offers. The coupon can only be used at No Frills locations. 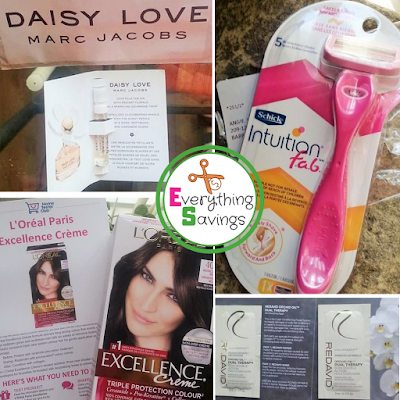 September has been just amazing for FREEBIES and coupons for sure! Can't wait to see what October brings! 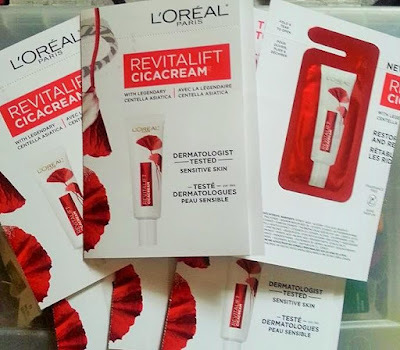 Things to look forward to in November - Topbox Circle Elizabeth Arden box. Not everyone got into this FREE mission box , but we did and we can't wait to show you what's in it when it arrives.